Where the hell are the best places to observe the northern lights? Fed up with typical travel experts? 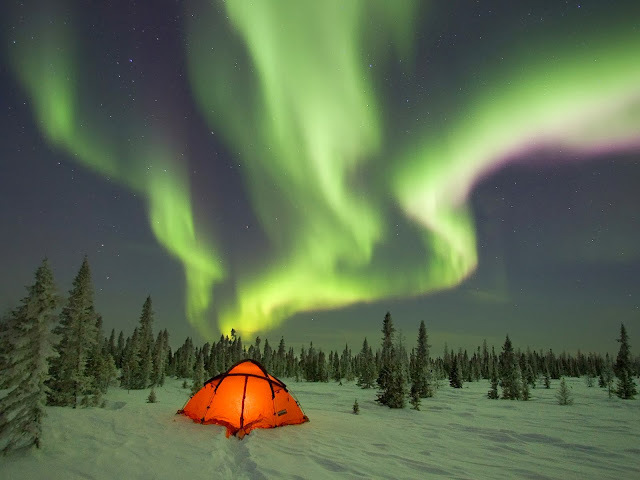 We present you here few of the best places to observe the northern lights with complete peace of mind. Although it is not always possible to do it, one of the great dreams of travelers is to be able to witness the Aurora Borealis in Scandinavian countries like Norway. The weather in Norway is usually milder than in other parts of the world where you can admire the northern lights, whether you are in Lofoten, Tromsø, North Cape or surroundings, in the mountainous plateau of the Sami in Finnmark, or in Svalbard. 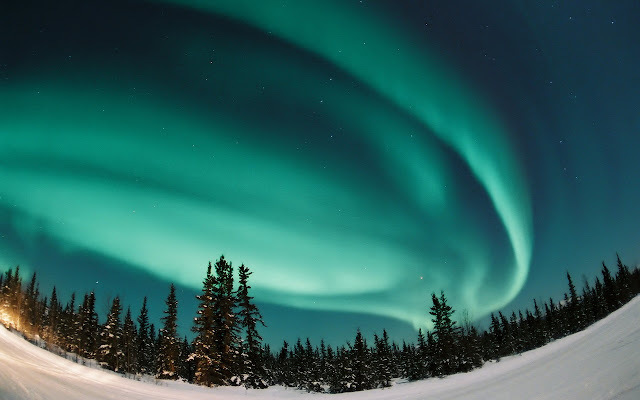 The Aurora Borealis only happens above the magnetic poles of the planet. In the northern hemisphere they are called Aurora Borealis, and in the southern hemisphere, they are called Aurora Australis. The spectacular colors are formed when the particles of the sun that are electrically charged enters the atmosphere of the Earth. The display is often referred to as dancing lights. Some people say the lights of Scandinavia swirl and seem to wave at you. 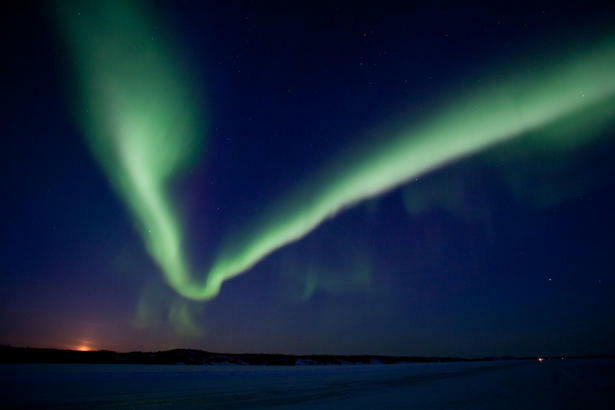 The colors of the Northern Lights vary. The most common are pale yellow, green, and blue. You may also see shades of pink. The most unusual color is red. The colors are determined by the types of gases in the air when the particles collide with the atmosphere. Regardless, you will see an incredible and otherworldly display. We dare to say that Northern Norway is undoubtedly one of the most comfortable and interesting places to see the northern lights, since hundreds of thousands of people live in this geographical area. 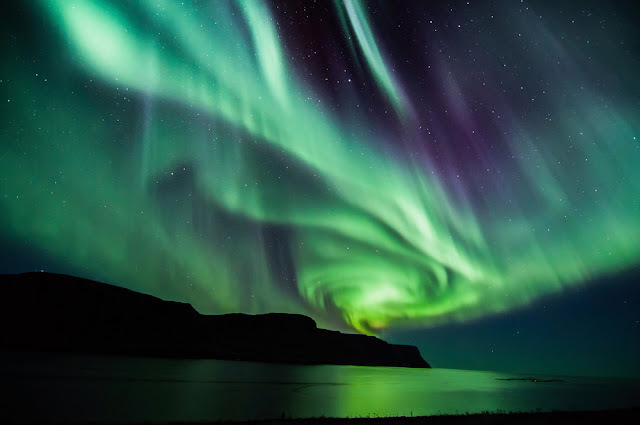 If you have decided to see northern lights and your chosen destination is Tromso, we give you the keys for your trip. From May 20 to July 20 the midnight sun shines, which makes it possible to participate in various activities 24 hours a day. If you are looking for a cultural holiday, Tromsø hosts the Tromsø International Film Festival and the Northern Lights Festival and both events attract visitors from all over the world. Between the end of September and the end of March it gets dark in the early afternoon and there is no light until well into the morning. It is the best time to see the northern lights. Install the app for iPhone, Android or Windows, a forecast of auroras that helps you know when you can see auroras wherever you are. Longyearbyen, the administrative capital of the Svalbard Islands is located halfway between mainland Norway and the North Pole. Some tourists think they need to travel to the end of the world to see the northern lights, but my motto is that there is no reason to go further than what is necessary. While one is involved in the darkness of Svalbard, this magical experience will be the same anywhere. Use the aurora forecast app, which alerts you when the phenomenon may occur, so as not to leave it at random. And so as not to miss the opportunity, one should be well prepared to take some decent pictures of the northern lights. Photography lovers should bring a tripod, something that will have a huge effect on the outcome. Trying to capture the Northern Lights is like trying to take a photo of a hyperactive child. The main advantage of coming to Finnmark to observe the Northern Lights is that this area is much less publicized than other Northern Lights destinations with which it rivals. There are also a lot fewer people who live here and a lot of unaltered nature and observation points full of peace. The center of Karasjok is so small that you only have to get away from the main street for clear views of the northern lights. Regardless of the distance, remember to take warm clothes. In winter it can get very cold in this mountainous plateau in the interior. The coldest day was registered in February, at -38 degrees. The colder, the better. When temperatures are low, the chances of having a clear sky are greater. 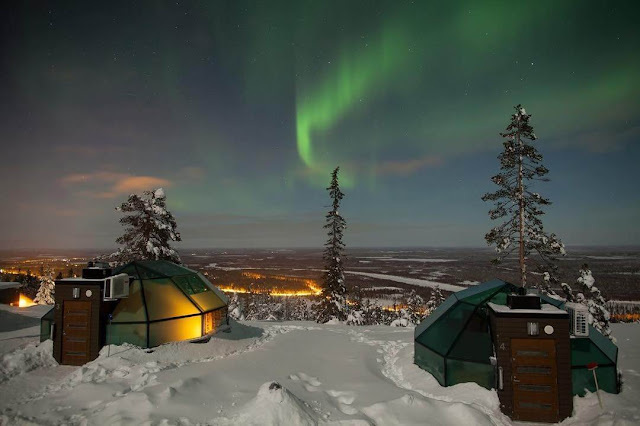 Despite being cold and small, Karasjok has three hotels and camping areas with modern cabins perfect for winter. The main Norwegian road, the E6, also passes through this town. Within an hour's drive from the city of Lakselv you will find a signposted lookout that is also a fantastic place to observe the northern lights. On the same E6 main road, but in the other direction, towards Finland, you will find other lookouts just as good. Of course, when in January the sun announces the beginning of the end of the polar night, this event is considered of great importance. Few things can be compared to the feeling of kayaking while watching the northern lights on you and also under you, in the water, a light effect that in Norwegian is called morild. Morild is an effect in which the sea becomes milky, a phosphorescent phenomenon caused by bioluminescent plankton. At the end of the night tour, you can decide whether to return home or simply spend the night outdoors, in hammocks with sleeping bags in total isolation. Seeing waves of light above you while you're surfing in the sea is a really special and also rare experience. The biggest challenge is, in addition to the darkness of the season, the fact that the only light that you glimpse when you are trying to maintain balance on the board is often that which comes from the northern lights. The useful rules of the Norwegian mountain code about wearing clothes suitable for unforeseen weather conditions, or doing everything possible to stay safe can also be applied to the sea. The largest breakwater in northern Europe, which is located in the port of the city. Of course, there are many more ways to see the northern lights. Christmas and New Year's Eve are magical for most of us. We decorate with twinkling lights, fireworks, and hope for snow. But, we will never be able to match the wonders of nature. Every year people travel to Scandinavia for the most unique and inspiring holiday event of their lives. Whether you travel to Denmark, Norway, or Sweden, you are going to find a winter paradise. Christmas is usually reserved for family, but New Year's Eve is a time for the gathering of friends. The Northern Lights are still around (usually until March), and Scandinavians celebrate the coming year with optimistic and festive parties. Fine meals are prepared. Live music is played on New Year's Eve and the cities put on massive fireworks displays. The New Year is welcomed with a champagne toast and lots of laughter and fun. You can enjoy winter sports on blankets of fresh snow every day. This is the land of reindeer, and you can take your family on a reindeer safari. Hike through the forests wearing snowshoes or get wild on a snowmobile ride. Christmas in Scandinavia is usually spent with family. Lavish meals are set out with rich and hot food. The Christmas holiday would not be complete without the experience of the Northern Lights from the fjords or in places like Kristiansand in Norway and Tankavaara and Lampivaara in Finland. You can also visit some extreme zones like Oymyakon in Russia. No light ever created by man can touch this natural display. Some visitors enjoy the view from a ship where they partake in a holiday cruise and experience the view that few people ever get to see. Because this part of the world is unique, most people travel here and secure what they need upon arrival. The trip can take a while, so savvy travelers look for ways to transport their luggage. Having your bags sent to your destination is easy and safe. Book your accommodations before you go. Look for hotels, lodges, hotels, and rentals that are centrally located so you can have daytime adventures and return to your base in the evening. This is far less costly. Use the 2-mile rule. If the attraction is less than 2-miles from the room, walk. Determine your food budget before you go. Eating out is a major expense. Even grabbing fast food can break your budget at their inflated prices. Prepare your meals yourself. Make a trip to the grocery store and buy foods you can prepare in your room. Book your travel well in advance. In places like Norway, you can get economy fares on trains if you buy them a couple of months in advance. The planning time is well worth the savings. Carry enough money with you. Who knows, there may be bank holidays in Scandinavia at the time you arrive. Do not get trapped in tourist attractions. There are many natural wonders that are free. Take the time to plan your adventures. Use the internet and guidebooks for recommendations. Obviously, this is trip of a lifetime. It can be costly. However, with planning and research, you can have a wonderful time without breaking the bank. The holiday season is just around the corner. The time for planning this trip is now. I just got back from Helsinki in January, and I unfortunately wasn't able to see the Northern Lights. I'm returning in the summer though, so hopefully I'll be able to catch a glimpse of them then! I've always wanted to see the Northern Light but we don't live anywhere close. I think it would be magical to take my kids to see them someday. I have to visit here to bad!!! Your post has convinced me! Wow, so beautiful! It would be awesome to see one day! Great post! I’d love to see the northern lights! never got the chance to see the northern light when we were in Norway. But will def come back on a perfect timing. Such a wonderful place to witness Northern Lights. It’s so really nice time to spend with family and loved ones. One in my bucket list. I will in the future thank you! I've always wanted to see the Northern Lights, it is so beautiful. It is on my bucket list for sure. I love Finland! I would love to explore more Scandinavian countries. Finland is one place I have been longing to go. I hope someday that me and my family can visit and experience this Northern Lights. Thank you so much for sharing these suggestions of magnificent places. Wonderful post and it's really great to see Northern lights. Thanks for sharing this post.